Every home has different needs, and different window styles can fill in those needs. Whether you need to brighten small rooms or freshen up humid areas, there is a window design that will improve the quality of your home. There are many studies verifying the benefits of natural daylighting. Researchers from the Lighting Research Center reported that daylight improves productivity and comfort. It can also regulate circadian rhythms. Roger Ulrich from the Center for Health Systems and Design at Texas A&M University states that proper daylighting hastened recovery for surgery patients. Aside from improving mood and satisfaction, new windows can also improve indoor air quality. When you use sustainable options for your Detroit, MI wood window replacement, these come with materials with lower volatile organic compounds. 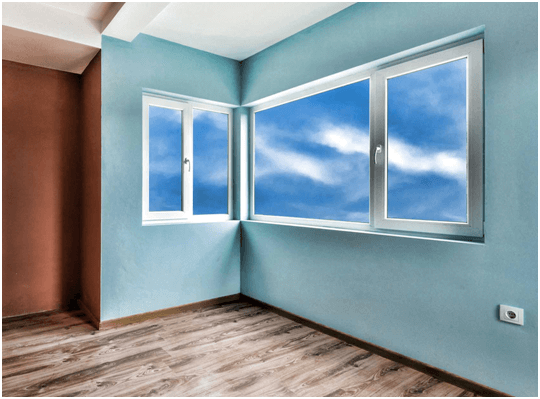 Properly placed windows also balance the incoming and outgoing indoor air. Fresh air can enter your home, while moisture and pollutants come out through other windows. You can choose from a wide selection of window styles on the market today. If you want to improve ventilation, you should choose operable windows. These include double-hung, casement, and slider windows. Casement can scoop outdoor air and direct it to your home. Double-hung and slider, on the other hand, have multiple operable sashes that let in more air. Fixed windows are ideal for brightening up different rooms. This type of window has large glass panes with no obstructing sashes. Fixed windows such as picture and decorative can also frame panoramic outdoor views. If you want to improve both ventilation and lighting, you can use a combination of windows. Bay and bow windows come with fixed and operable windows that project out from the wall. Using three or more windows, you can have a 180° view of the outdoors. You can also open the windows when needed. You can also install a garden window for your wood window replacement in Detroit, Michigan. This differs from bay and bow as it has a glass roof. If you want to browse different window options, Kroll Construction can help. We offer a wide range of styles from Alside, one of the leading manufacturers of energy-efficient windows. All our windows come with a standard screen, energy-saving glass package, and industry-leading warranties. For more information about our window styles, you can call us at (888) 338-6340. You can also fill out our contact form for a free consultation.